I’ve known Sacha (in the know each other from a dog forum but never met kind of way) for over ten years. It wasn’t until Bruno hurt his back while hooning around the garden that I became a client and fangirl of hers. He’d had two trips to the vet and been prescribed several different painkillers and anti-inflammatories. They were recommending an MRI as the next step. Sacha saw my posts on Facebook and offered to take a look at him. I go to an osteopath when I have back and neck issues (hi Chris!) so it made perfect sense to try out this kind of treatment on my dog. 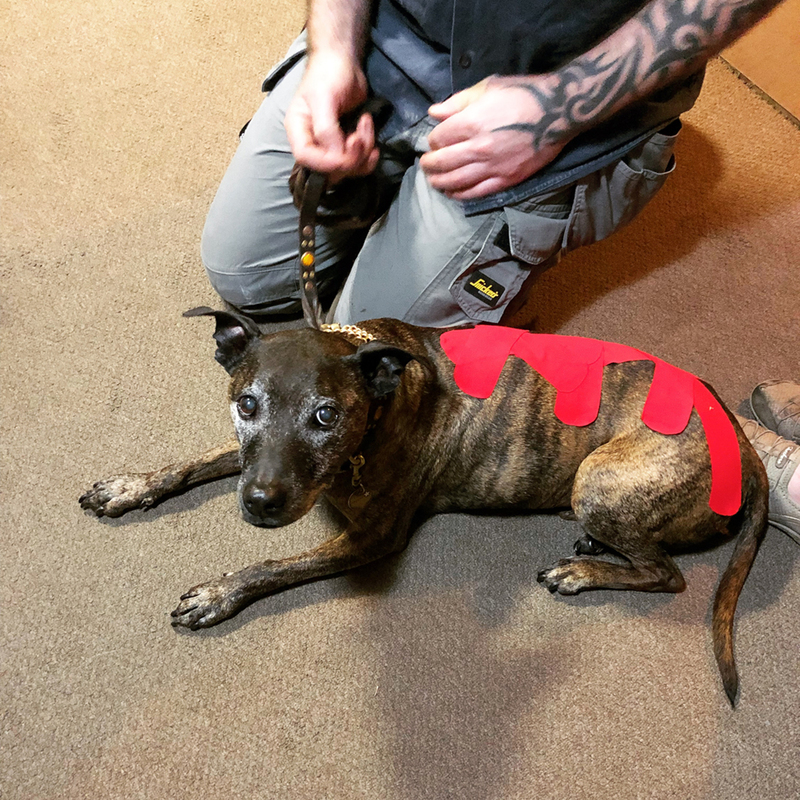 She did several procedures and finished by applying Rocktape to his back. On the drive home, for the first time in over 24 hours, Bruno finally stopped whimpering and went to sleep. Knowing your dog is in pain and not being able to help them is truly one of the most heartbreaking things to experience. I remember the feeling of stress leave my body when I saw Bruno relax at last. I felt so much gratitude to Sacha and I’ve been recommending her to all and sundry ever since. Excuse the phone pics, I don’t make my dogs pose for the big cameras when they’re unwell. I’m the kind of person that would be broke if I didn’t have people like our vet* and Sacha telling me to monitor an issue overnight before rushing to them for help. I really value professionals that put my fears at rest, even if they “lose a sale” so to speak. We had a similar experience with Chopper. He was struggling to use his back legs and the vet* thought it was an issue with his spine so was treating with rest and anti-inflams. 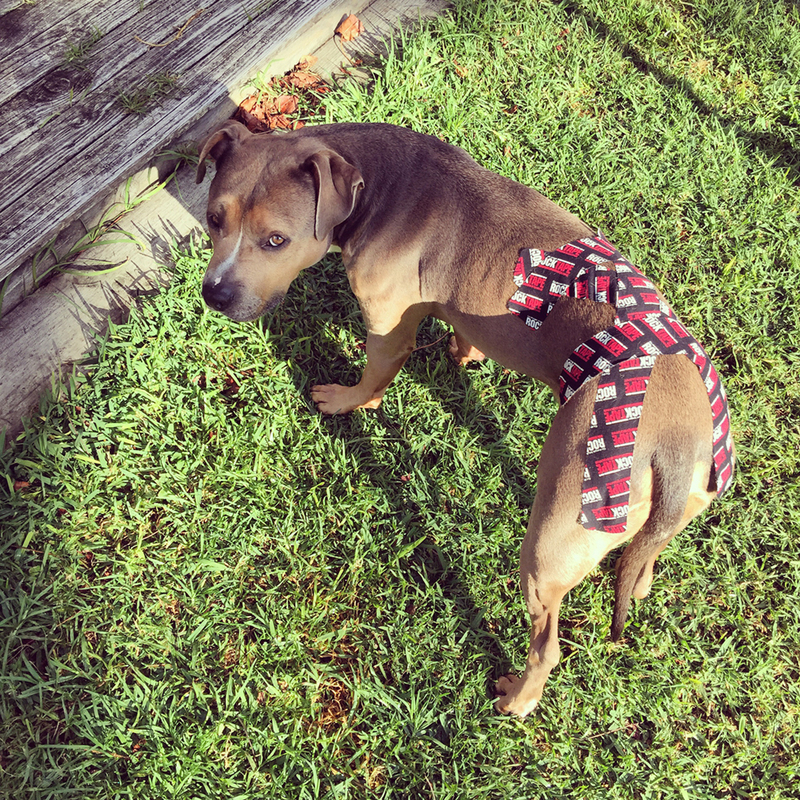 Sacha offered to squeeze him into her fully-booked schedule and again we left with a Rocktape’d dog. It later turned out that Chopper had been bitten by a paralysis tick (which had fallen off in between the crates before his first vet visit), so while the taping no doubt helped with his stability he didn’t have the same quick recovery as Bruno did. * Not the same vet that we took Bruno to. Along with her canine manipulation and conditioning services Sacha also provides nutritional advice. She started this Facebook group which she runs with her Queensland counterpart. It’s been an invaluable resource while I move my dogs from a raw but not balanced diet to a balanced raw diet. If you’re interested in giving your dog the best life possible I’d strongly recommend following The Balanced Canine Facebook page and joining the group linked above. I learn something new from them at least once a day! 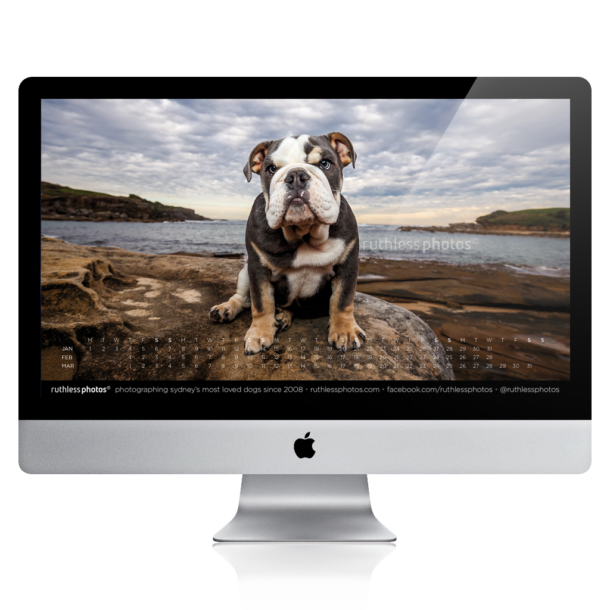 You can find out more about the services she offers on her website via the button below. Tell her I sent you!